Even though I won’t be posting anything new here, I will leave this page up and you can still read the past posts. Warren Petoskey, an Odawa/Lakota Elder, and good friend of mine, shared this post on Facebook today. This Date in Native History: On April 8, 1756, “The 1756 Scalp Act was the result of close to 40 years of the Penn family lying to Delaware and Shawnees,” Pennsylvania Historian Norman Houser said. The act legalized the taking of scalps for money, paid by the Pennsylvania government. The Scalp Act passed as a means to get rid of the Delaware once and for all. By the 1700s, the times were changing, unpredictably and rapidly, for the peoples who lived along the Susquehanna River. The area was named De La Warr by the Dutch and the people known as the Lenape became the Delaware Tribe, reported Brice Obermeyer, director of the Delaware Tribe Office. When William Penn arrived in 1682, he developed a respectful relationship with all of the local tribes. But after his death, “The Penn Family changed from ‘Let’s work with the Natives’ to ‘This land is ours; now get off of it,’” Houser said. The Treaty of 1736 was between the colony of Pennsylvania and the Iroquois. 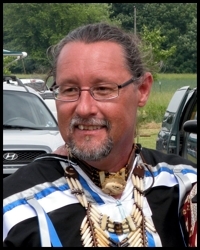 “The most significant aspect of the treaty was that this was the first time on record that the Delaware nations had no legal rights to the land. The Six Nations claimed it was theirs,” Christian House Of Prayer said. When William Penn bought lands from the Delaware, he purchased all of the rights but allowed the Delaware’s to stay on the land. In September 1737, Thomas Penn, William’s son, told the Delaware nations there was a deed for land sold to his father. He produced a forged document that included the names of Indians who had already passed on. Though no elders could remember such a deed, Penn convinced the Delaware to set up an event where they would walk together to map out land. The story is detailed in Publications of the Historical Society of Schuylkill County, Volume 3. It was called the “Walking Purchase.” On the first day, two colonists walked along with two Indians at a leisurely pace, stopping from time to time for bread, cheese, and wine. They retired at sunset. The next morning, new walkers arrived and little by little, the two Indians and one colonist dropped out from the pace. The last man, a colonist, ran rather than walked, doubling the amount of land the Indians had planned to release. Teedyuscumg said according to Publications of the Historical Society of Schuylkill. By 1755, “In these conflicts, there were Indians fighting on both sides,” Obermeyer said. “In some cases, people were massacring tribal members. It was such a complicated time period that to say it was all Europeans, was just not the case. They intermarried. Some fought the British, some fought the Americans, and some were just trying to survive. “It was literally a civil war and people had to make choices that were sometimes based on economics,” Obermeyer said. By December 1755, there were so many minor attacks that the settlers on the frontier appealed to the Pennsylvania legislature, which set aside $60,000 for forts, Houser said. Instead, the money was set up as a fund to remove the Indians from the border. On April 8, 1756, Governor Robert Morris enacted the Scalp Act. Anyone who brought in a male scalp above age of 12 would be given 150 pieces of eight, (copy50), for females above age of 12 or males under the age of 12, they would be paid copy30. The Wooden Indian act turned all the tribes against the Pennsylvania legislature. “This was the turning point for the Delawares,” Houser said. The Scalp Act was renewed in 1757, and the battle with the Delaware lasted until September 1756. It has been a while since I have posted anything on my blog, but this was too important to miss passing on to others. I have known Mark Charles for over a year now, spent time with him and his family at Fort Defiance on the Navajo Reservation, and at a gathering he led in Washington DC. The other day I observed a Twitter exchange between Pope Francis and Miroslav Volf. Since moving to the Navajo reservation more than a decade ago I have done much thinking, studying, praying and reflecting on the dynamics between power and authority. And God has given me a few insights over the years. So when I read these tweets I had an instant desire to jump in and be a part of the discussion. But there was a problem. Pope Francis is the leader of the Catholic Church with over 1 billion members worldwide. And he has 11 million Twitter followers (between his various accounts in 9 different languages). Miroslav Volf is a national, even global, voice in his own right. He heads the Center for Faith and Culture at Yale University and is described as a Croatian Protestant theologian and public intellectual who is often recognized as “one of the most celebrated theologians of our day.” And he has 11 thousand twitter followers. And then there is me, Mark Charles. I do not lead any organization nor do I work solely for a specific group, ministry or church. I am merely the son of an American woman (of Dutch heritage) and a Navajo man, who is living on our Navajo Reservation and trying to understand the complexities of our countries history regarding race, culture and faith so that I can help forge a path of healing and reconciliation for our people. And I have a grand total of 710 twitter followers (@wirelesshogan). In terms of power, platform and voice, Pope Francis is Goliath, Miraslov Volf is David, and I am Jesse’s long lost nephew, the youngest son of his step-sister’s fourth cousin. On a power scale, I have no place in this discussion. And even if I were to tweet something in response to Pope Francis or Miraslov Volf, the worldly chances of actually being heard by either of them are almost non-existent. But to me, that is the beauty of Pope Francis’ tweet. God’s rules are different than the world’s rules. God does not use the mighty things of this world to proclaim his glory, but the weak, the forgotten, and the over-looked. And that is the hope which I both hold onto, and preach to our Native peoples and communities throughout the country. For living on the reservation is very lonely. Our nations and peoples have been pushed aside to scraps of land that are largely unwanted and out of the way. As a result, a majority of the country is unaware that Native communities actually exist. And of the few who are aware, those who do come to visit us are either giving us charity or taking pictures at the “Native American Zoo,” and then quickly leaving before any real relationship can be built. But, Miroslav Volf is also, mostly, correct when he says “The babe grew and taught with power and authority, and the crucified one was raised from the dead in glory.” Yes, Jesus did teach with authority and yes, he did rise from the dead, in glory, three days later. But the overemphasis that Dr. Volf places on power, making it a method equal, in the ministry of Jesus, to authority, I believe is inaccurate. Power is the ability to act. Authority is the right of jurisdiction (the permission to act). Throughout his ministry, Jesus continually demonstrated that his words and actions were not demonstrations of his power, but an exercising of his authority. And this quite literally freaked people out. For he did not talk like someone who studied the scriptures; he spoke like someone who wrote them. He did not cringe when confronted by the blowfish tactics of the demons. Because he knew, that they knew, that they were submissive to him. Nor was he fearful of the destructive power of nature, because he was there when his Father spoke all of creation into existence. For power to be effective it must be demonstrated. Authority is inherent and requires no demonstration. Throughout the Gospels, Jesus was confronted with the temptation to demonstrate his power. Satan tempted him. The scribes and Pharisees tempted him. The people tempted him. Even his own disciples tempted him. But again and again Jesus declined, sometimes forcefully with a rebuke, and other times quietly by simply walking away. He did not need to prove himself to anyone. He knew he was the Son of God and his identity did not need validation from the world. But it cannot be denied that Jesus did some pretty spectacular things and that God showed His pleasure and His approval in some very powerful ways. After all, Jesus’ birth was announced by a host of heavenly angles. Yes, they were singing to shepherds, but nevertheless, very powerful. And how about the rising from the dead? The curtain ripping? The dead being raised? The earthquakes? And the mid-day darkness? All incredibly powerful displays. So why am I writing this post? Aren’t they both right? Has not the truth been proclaimed to both the 11 million and the 11 thousand followers on Twitter? Does clarification really need to be made to yet another measly 710 Twitter users. Yes! I believe it does. Because I have seen exchanges like this numerous times before from my powerless position here on the Navajo Reservation. I have seen the uncomfortable truths of God’s character and His call immediately explained away with the quick pointing out of a few exceptions to the rules. This happens so frequently that I fear we may have forgotten what some of the rules actually are. God chooses the foolish, weaker, lowly, despised things of this world – and the things that are not – to nullify the things that are, so that no one may boast before him. (1 Corinthians 1:27-30). These are God’s rules. The weaker, second-born son, Jacob is the rule. The slave, become prisoner, Joseph is the rule. The prostitute, Rahab, is the rule. The foreigner, Ruth, is the rule. The shepherd boy named David is the rule. The fisherman, Peter, is the rule. And the babe, wrapped in cloth, and born in a barn is the rule. The highly-educated Pharisee named Saul is the exception. The rich, young ruler, walking away from Jesus, is the rule. And the camel, named Zacchaeus, going through the eye of the needle is the incredibly rare exception. As American Christians, these rules make us uncomfortable. For we live and follow Jesus in the wealthiest, most militarily powerful nation in the history of the world. And even though the founding fathers read the Bible and prayed to God, our nation has an incredibly dark and unjust history. Yet many still fancy the United States, and the American church, as the new Israel, with this continent being our “promised land” over which we have a manifest destiny. And so we cannot even begin to imagine that we just might, instead, be one of the other empires in the Biblical narrative, on the receiving side of God’s anger. This is because we have taken the exceptions and made them our rules. And so when we hear the rules, because we do not align with them, we must quickly point out the exceptions. For the exceptions are what explains our existence and what justifies both our actions and our in-actions. Pope Francis articulated the rule. And Miroslav Volf quickly countered with an exception. I do not know why he did it, nor can I judge what was in his heart. If he had said it in a lecture, I would have raised my hand. If he preached it in a sermon I would have approached him during the coffee time. However, he tweeted, so I was compelled to respond through my blog. Because for the past 500 years my people have experienced the fruit of a nation and a church which arrogantly proclaim that they are the exception: the Doctrine of Discovery, the forced assimilation, the boarding schools, the marginalization, the empty charity, the flaunting of wealth, and the refusal to reconcile. And while I do not deny that God is at work and has accomplished much good through both the United States and the American church, I feel the need to exhort us to be silent and allow God’s prophets to speak and remind us of His rules. No matter how uncomfortable they may make us feel. For what Jesus modeled so plainly is very unsettling. That the glory of the Father is revealed by following His rules, without exception. God’s heart is broken over the spiritual condition of the Native American community. Do you care? I spent part of this week preaching at my friend Quentin Beard’s church in Sioux Falls, S.D. On Sunday—which happened to be Pentecost—I reminded the congregation that if we really want the fullness of the Holy Spirit, we must have more than just emotionally charged worship, speaking in tongues or miracles of healing. Those things are wonderful, but if we want full-blown Pentecost we must also tear down racial and ethnic barriers. Later that morning, a tall Native American brother named Joe Marrowbone came to the altar for prayer. He is from the Lakota Sioux tribe, and he wanted the baptism of the Holy Spirit. Within a few moments, he was praying in tongues with his hands raised in the air. He told me later that He feels God will send him to share the gospel on some of the Indian reservations near Sioux Falls. Joe was especially blessed when I addressed the issue of racism among whites and Native people in his home state. I told the church that when we get to heaven, there will not be a white section, a Hispanic section, a black section or a Native section. “We are all one big family. There are no Indian reservations in heaven,” I said. Native Americans have the highest poverty and unemployment rates in the United States. The poverty rate is 25 percent. Native people living in Indian country have incomes that are less than half of the general U.S. population. Only 36 percent of males in high-poverty Native American communities have full-time, year-round employment. Nearly 10 percent of all Native families are homeless. The rate of Native homes without electricity is 10 times the national average, and 20 percent of Native households lack running water. The infant mortality rate among Native people is about 300 percent higher than the national average. The poorest county in the United States is the Pine Ridge Reservation in South Dakota, where the unemployment rate is at a mind-boggling 80 percent. Life expectancy on this reservation is the lowest in the Western Hemisphere, except for Haiti. Rates of violent victimization for both males and females are higher among American Indians than for any other race. From 1999 to 2004, American Indian males in the 15- to 24-year-old age group had the highest suicide rate compared to males of any other racial group. Native American men have been found to be dying at the fastest rate of all people in the United States. What do those figures say to you? I believe it is an absolute travesty that those of us in the Christian community have not fully acknowledged our forefathers’ role in perpetrating genocide on our Native brothers. And it is pathetic that we have largely ignored this languishing mission field in our own backyard while we spend millions on our tech-savvy megachurches in white suburbs. God forgive us. When the Holy Spirit was poured out on the day of Pentecost, the apostle Peter declared from the book of Joel that one sign of the Holy Spirit’s outpouring would be the empowerment of the poorest of the poor. He said, “Even on My bondslaves, both men and women, I will in those days pour forth of My Spirit, and they shall prophesy” (Acts 2:18, NASB). Surely Native Americans were on God’s heart when those words were recorded. Yet many of us completely missed the point of Pentecost. We made it about us. We chased after the anointing, the chills, the hype and the charismatic circus—forgetting that the reason we are anointed by the Spirit is to minister to those who need Christ’s healing. I am praying that the Spirit-filled community will renounce its self-absorbed immaturity and begin to fulfill our true Pentecostal mission. Pray for a spiritual awakening among Native people, both on and off the reservation. Explore ways that you can build bridges of reconciliation. And ask God how you and your church should respond to the needs of Native people. J. Lee Grady is the former editor of Charisma and the director of the Mordecai Project(themordecaiproject.org). You can follow him on Twitter at @leegrady. He is the author of Fearless Daughters of the Bible and other books. I was in Native American lands. I was in the midst of a forest area, which was dry and like in winter-time. The trees were tall, grey, and had no branches or leaves. It was near to night. I stopped at a wooden building that was like a shop for Native American souvenirs. The room was empty, however. While there I wanted to meet with the tribal elders. They came in and stood as if in a somewhat semi-circle line, facing me. I was drawn to them in my heart, and they gave their hearts to me and offered to include me in the tribe. Then I had to go, but I would come back. My heart filled with love for them, and I wanted to come back to them. They had honored me with their love, and I wanted to honor them and love them back. “The night is near for America; many who profess My name are as dead trees, as branches that have been removed because they do not abide in My love. Many are seeking ‘revival’ and practice ‘identificational repentance’ for the sake of land, but turn away from practicing My love. I am sending My servants to repent to Native Americans for the way My people have treated them. Many have visited Native Americans in recent years to repent for past atrocities, but have then left instead of continuing relationship and becoming family with them. Many have repented only for the sake of ‘cleansing the land’ and ‘to bring revival,’ but have not stood with Native Americans in their needs, their troubles, and in their struggle to secure justice in America. In My name, many Christians have come to the house of prayer only for souvenirs – just to ‘get something’ from Natives and then leave them as abandoned and neglected as before. Do not treat My beloved children as souvenirs! Do not speak My name to them without giving My love to them! A Year of Justice for the Miami Indians? As many of you know we have been involved in peacemaking and reconciliation with the Miami Nations of Indians of Indiana for over 4 years now. Out of that relationship we have been advocating for State recognition for the Miami of Indiana. This recognition was theirs back in the 1800s and then illegally stripped from them by a government official from the Bureau of Indian Affairs. By the time they were able to make a case in the supreme court the statute of limitations had run out. 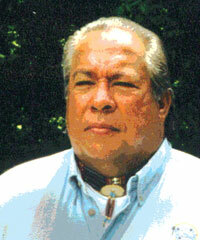 State recognition will help restore dignity to the tribal members. Can you imagine the awkwardness of the original people of Indiana having to ask to be recognized officially by the State? The irony of this can’t be properly expressed! This recognition would also provide the State of Indiana funding from the Federal Government for the education of the public regarding the Miami. It could improve tourism and provide opportunities for employment and business development for tribal members (over 4000 just in Indiana). It costs the State of Indiana nothing to do this! I could go on but I think my point has been made. Here is a statement from the Miami Nation website regarding State Recognition. State Recognition, which is a completely separate status from federal recognition, is a great step towards facilitating further cooperation and communication between the Miami Nation of Indiana and the State of Indiana. It also facilitates inclusion of tribal perspectives in the state process and provides a multicultural understanding among public officials and the citizenry. Additionally, state recognition would provide the Miami Nation of Indiana with protection under the Indian Arts and Crafts Act of 1990 and the Native American Free Exercise of Religion Act of 1993 which allows tribal members may proclaim their Indian status of their artwork and provides them with the freedom to practice their religion and ceremonies, which have been challenged in the past. State recognized tribes can apply for limited federal programs such as education, job training and housing assistance; however, services offered by the Bureau of Indian Affairs and Indian Health Service are not available to them. Such are only available through Federal recognition. I have recently learned from Chief Buchanan that there is a bill before the State for the recognition of the Miami of Indiana. Here is his appeal. “We need support and help to get a hearing in the Public Policy Committee. I have the list of Senators, their contact information, Bill 342, and the Senate District Map. I am respectfully asking for support from all of my friends and ask that you contact these Senators and ask them to move for a hearing Concerning Miami State Recognition. I want to inform everyone that the tribe has approximately 60 out of the 92 Counties in Indiana that city and county councils, including the Mayors of the County seats, that have already issued Proclamations of Recognition to the Miami Nation Of Indians of the State of Indiana. These are all issued and approved! Chief Brian Buchanan, Miami Nation of Indians of Indiana. Lets stand with the Miami of Indiana in prayer and action! Phone numbers to call to ask for a hearing for the Miami.